I hope the single rider line moves as well as the one for Racers...that's really the only way we ride it. As was discussed in the SW:GE thread, just because they have a sign for Single Rider doesn't mean they will actually use it. As was shown as an example in the thread, FoP in Pandora has Single Rider signs up but it doesn't actually have Single Rider option available. So we'll have to see if they actually open with Single Rider actually being used. Or if its just a sign and actual Single Rider is not an option. BLD2019-00196 DCA - Area Development - Tenant Improvement: Construct screen wall 17' high 12' ln.ft with footings to screen existing scene 1 of The Incredible Ride. BLD2019-00197 DCA - Paradise Pier Enhancements - 500 / Area Site Development: Micellaneous: Two show sets figures, 12' high Cactus and 6' high Barrel anchored to existing pad. And that is all that is needed to make PP the most awesomeness theme park land in the Universe!!! What the heck!? Removing the boardwalk wall to reveal a better view of the loading station and of Scene 1 was a good move! It's always cool to get a peek at an on-ride scene. Great avatar by the way. When are we going to get some talking skull merch? i still think they made a mistake in making the first scene be a VIP room. they should have enclosed that area with rockwork like they had envisioned for that area during the remodel and places the scene inside a cave. BLD2019-00297 Disney - Bonanzza Outfitters / Bldg 5305 - Tenant Improvement: Replace 600 sq.ft of siding, reroof 390 sq.ft of new underlayment and shingles. What 2 buildings are these permits for? I know thats Permitspeak for Star Wars Land and Marvel Land, but that's as much as I know. BLD2019-00358 Downtown Disney - Building CC - ESPZ Zone - Tenant Improvement: Demolition of bar at interior with utilities to be capped. New tenant? Banqueting/Event space? DVC sales office? Could be any of those. I guess we’ll see soon enough. And then the lower level as a restaurant. I was told when Disney was actively looking for a replacement tenant years ago, when ESPN Zone's were closing, that one issue was the building was too big. 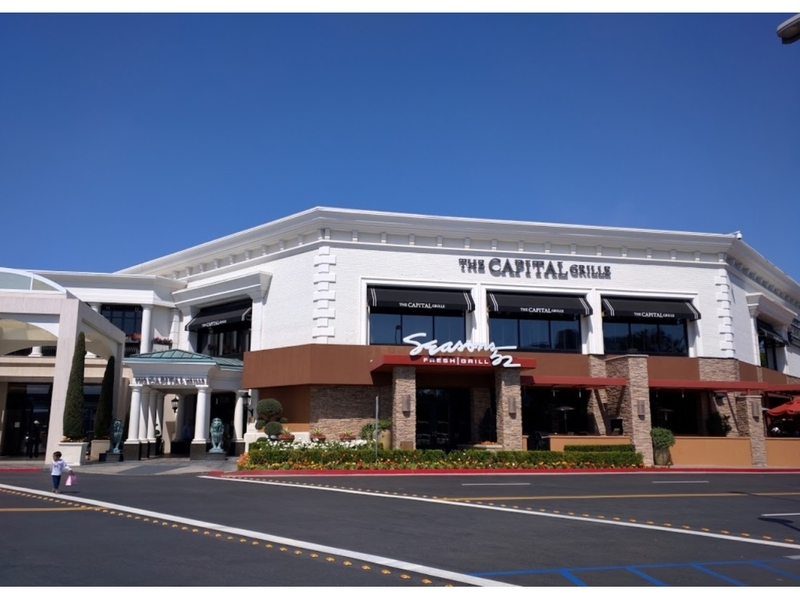 Don't forget there was a lot of buzz in the OC commercial real estate community that TDA was wooing the Darden Corporation and their Capital Grille steakhouse chain to take over this space. Although it's a big enough building that they could do a full-size Capital Grille on either floor and still have half the building for something else. Much like Darden's South Coast Plaza complex, they could have a swanky Capital Grille on the second floor while a Seasons 52 or other more approachable Darden brand takes up the first floor. The ESPN Zone building is even bigger than this South Coast Plaza facility. BLD2019-00423 Electrical to support Grizzly River Run audio rehabilitation. BLD2019-00363 Disney - Space Mountain - Mechanical and Electrical replace two existing air handling units, complete with associated duct work and piping, two new exhaust fans. BLD2019-00490 DCA - Hollywood Land - Stage 12 (Bldg 303) - (NAME??) Tenant Improvement: Installation ballast with truss towers, two faux doors, and truss piece with drape hung, all anchored to the exterior wall of building for photo location show set. BLD2019-00481 1313 S HARBOR BLVD 4410 (Pooh Corner) Reroof: Remove existing material, resheath as needed and install 18 squares of wood shake on the lower level and 15 squares on the uper level. BLD2019-00455 1616 S DISNEYLAND DR 525 (Mulholland Madness) Void created in error. BLD2019-00424 Electrical to support outdoor vending cart - DCA Pardise Garden Park.